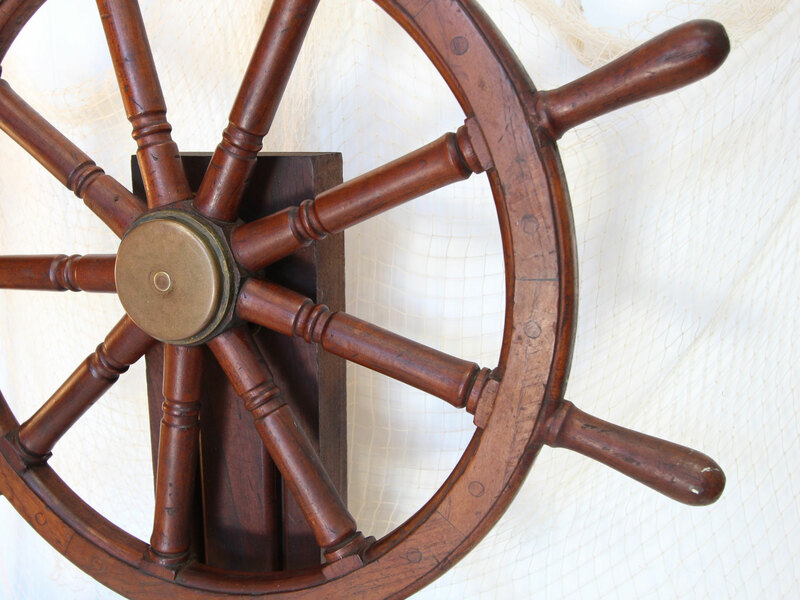 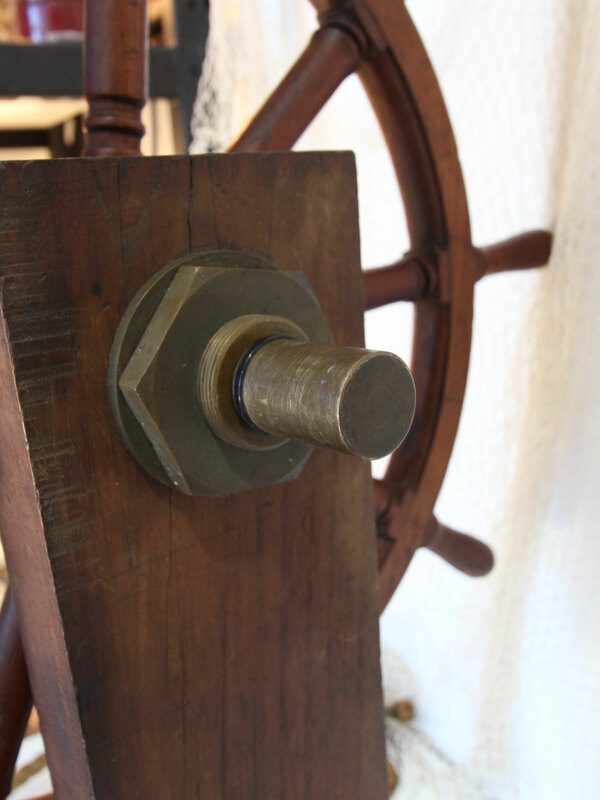 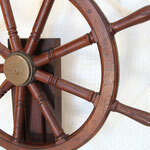 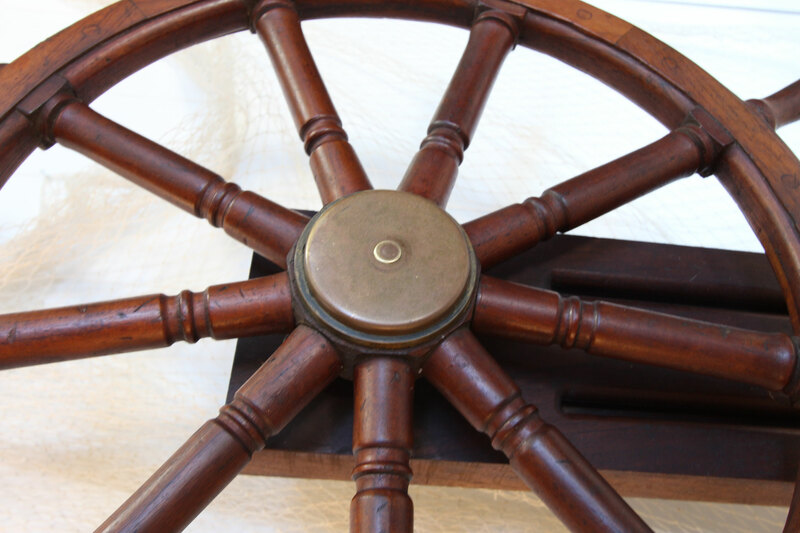 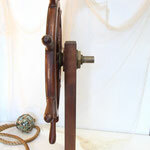 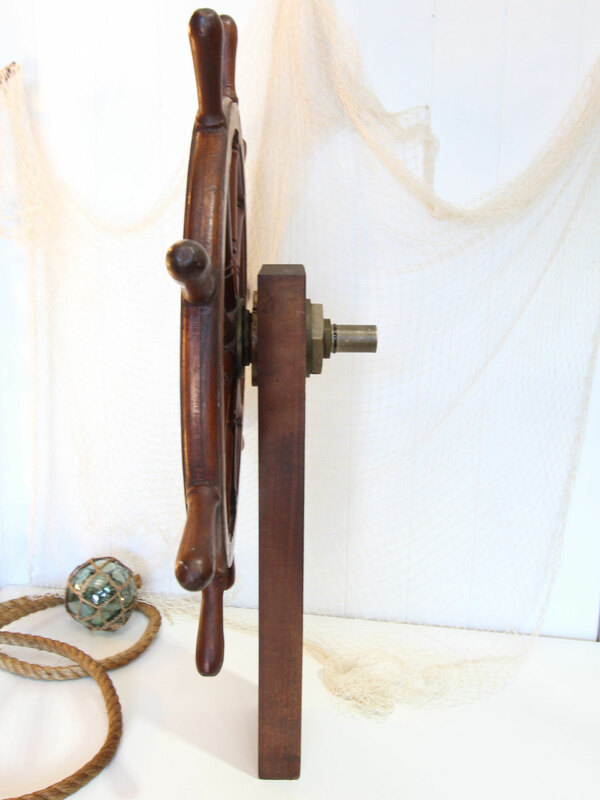 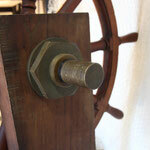 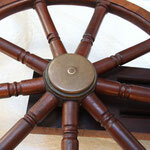 This is a lovely old ship's wheel on a timber stand. 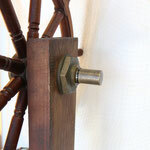 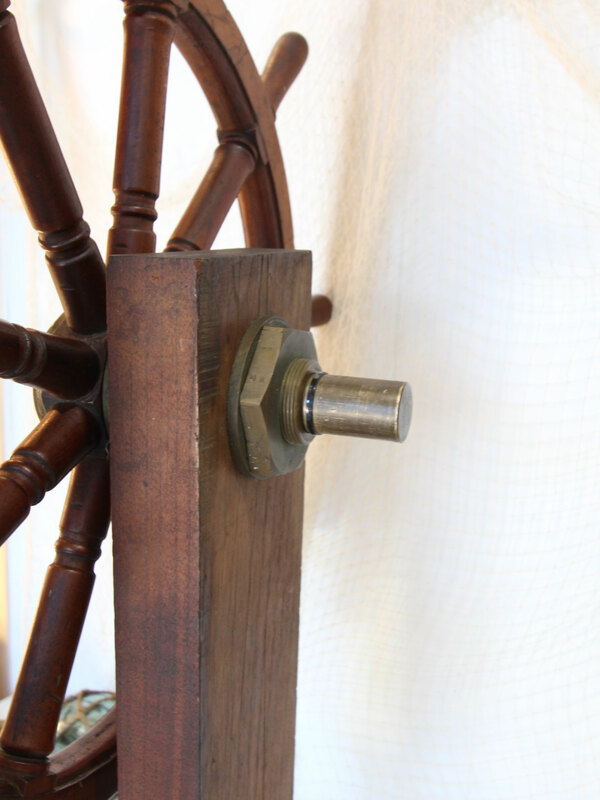 Made from cedar it has beautifully turned wood spokes and a brass centre and bolt. 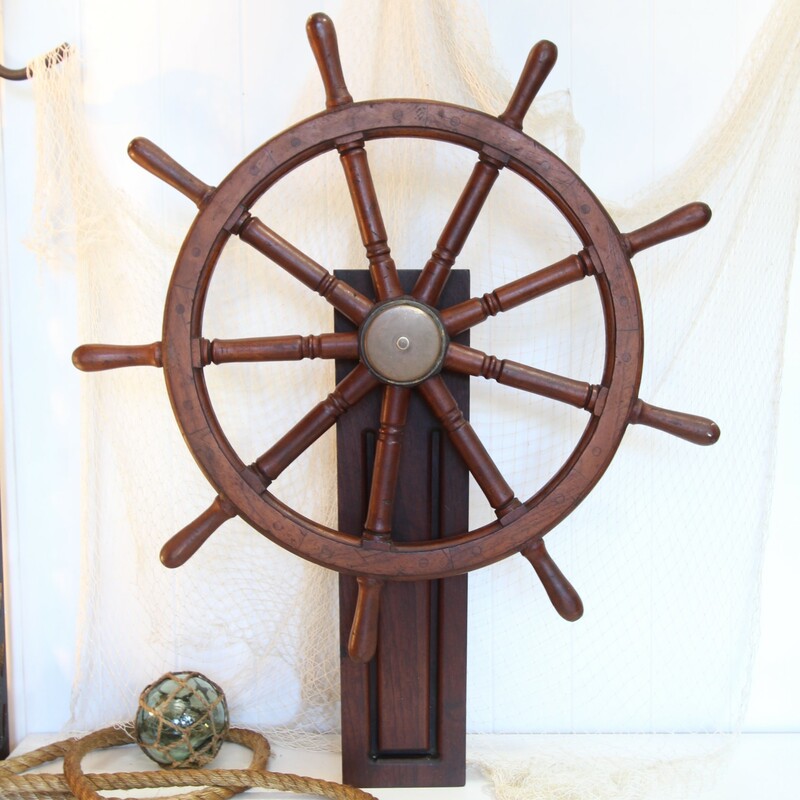 It is the perfect piece to add a nautical touch. Stand it in an entrance way, or on a sideboard or bar.